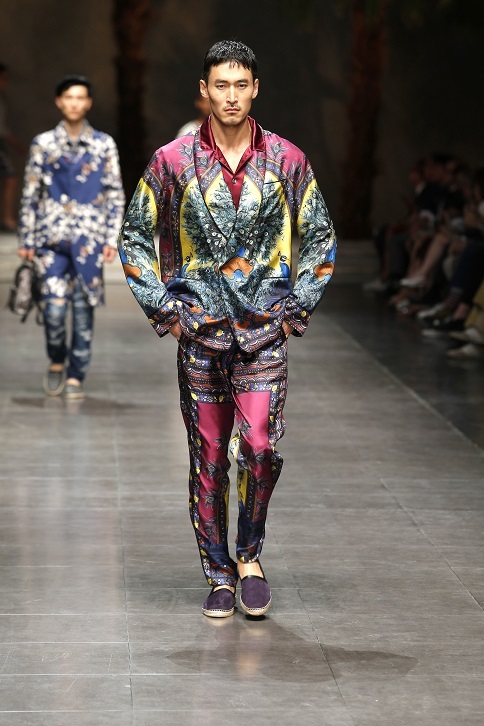 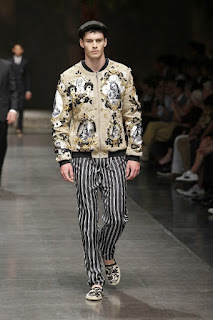 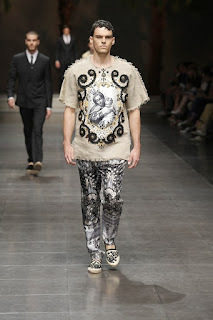 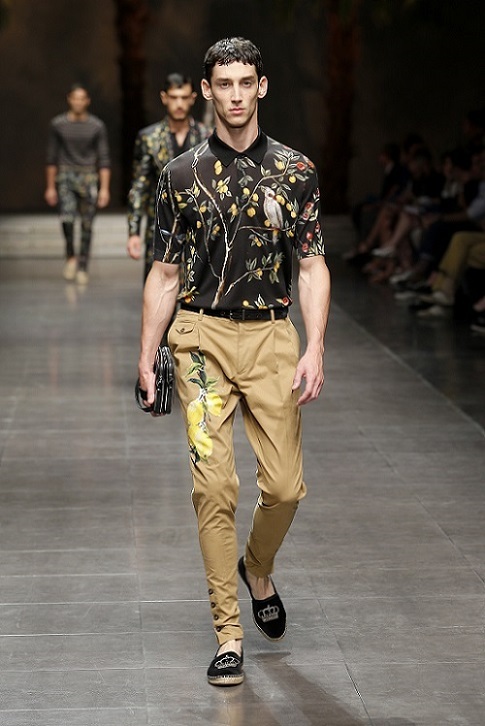 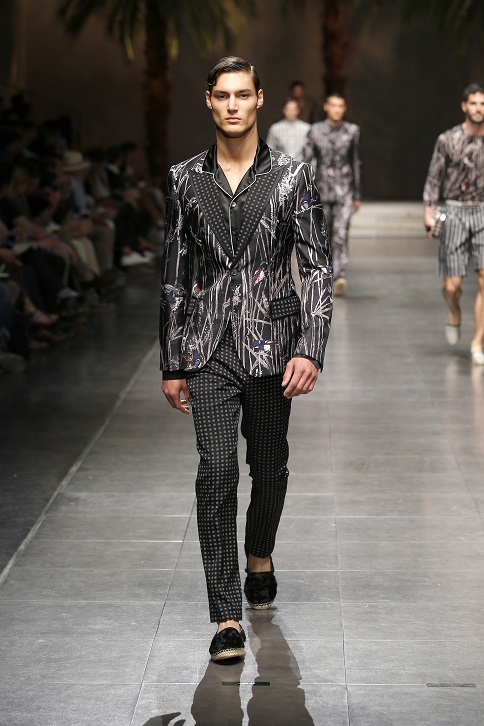 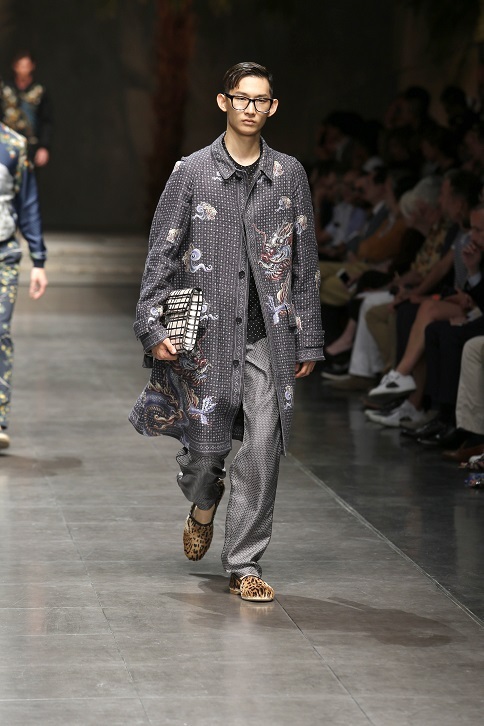 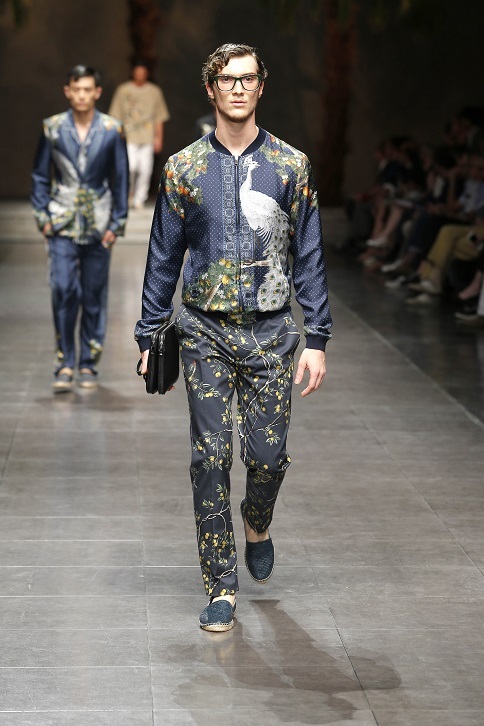 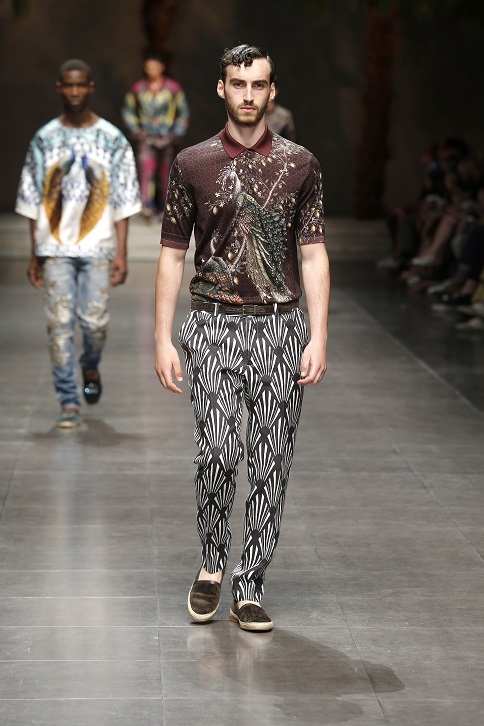 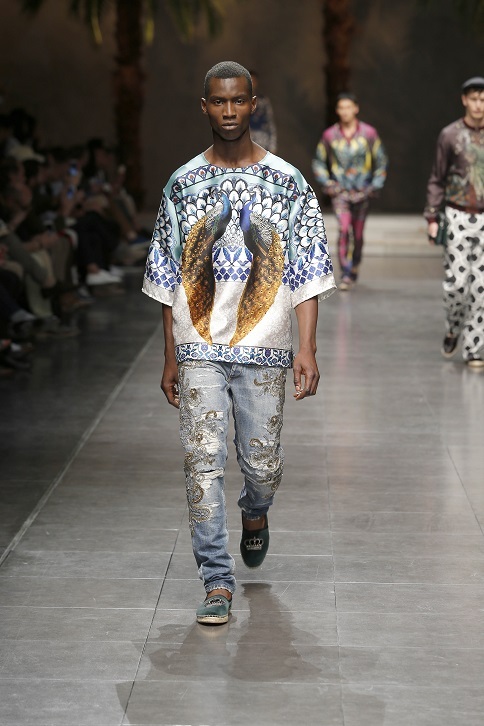 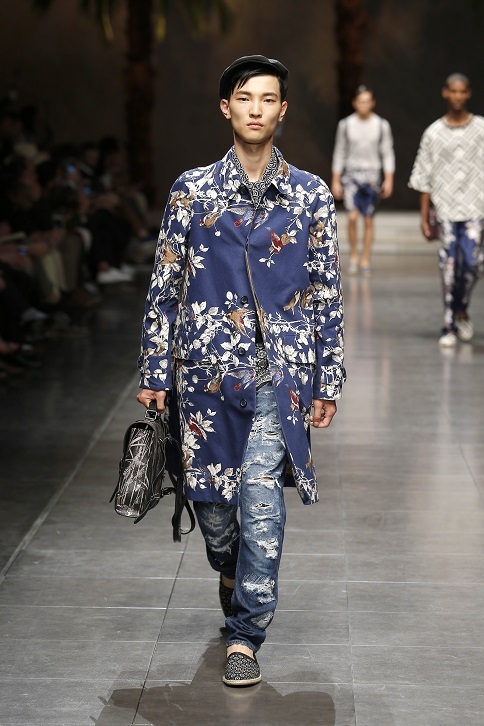 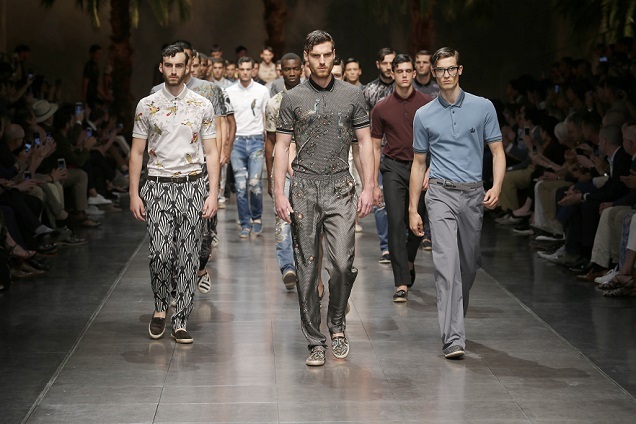 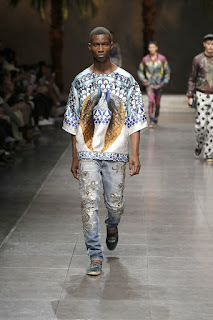 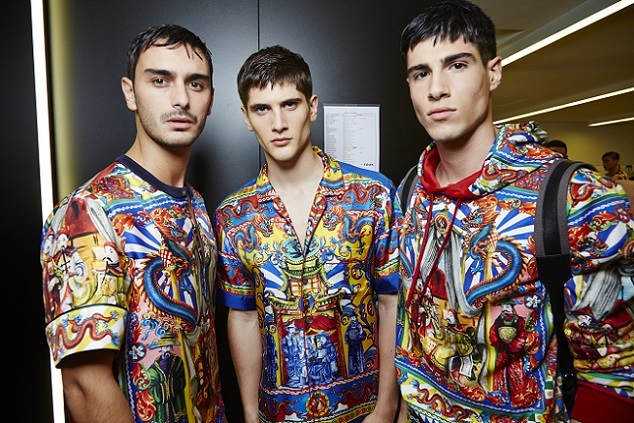 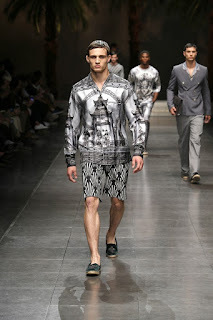 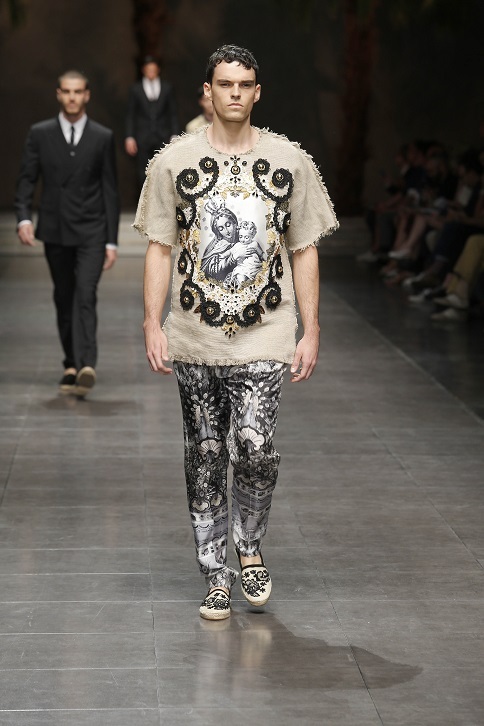 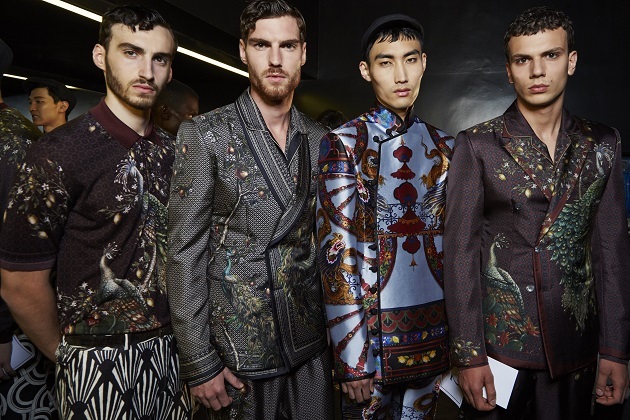 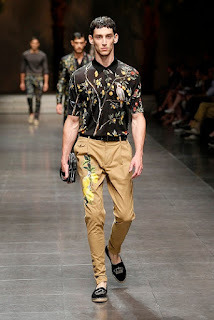 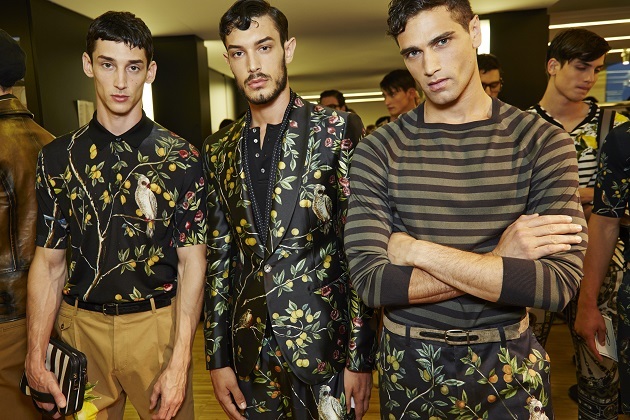 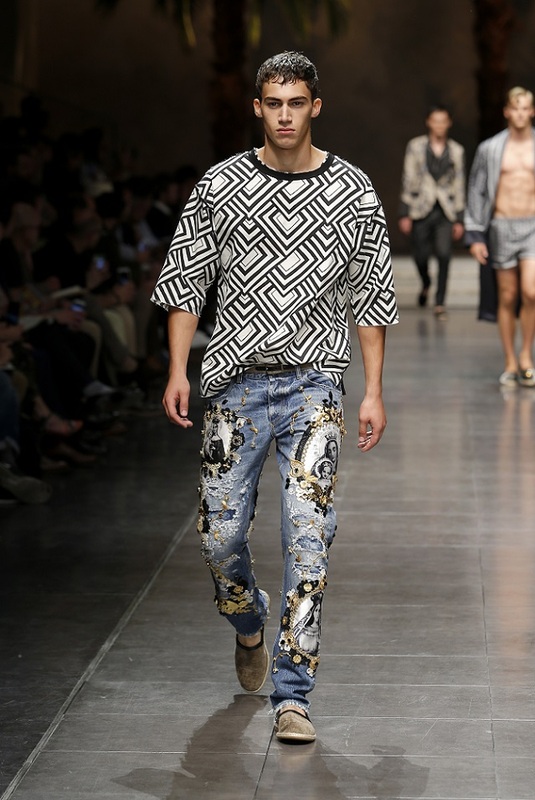 Dolce&Gabbana SS2016 Men Collection inspired by the Chinese Palace of Palermo, Sicily. While sketching the collection, Dolce & Gabbana happened upon some of the old Dolce&Gabbana advertising campaign images shot by Ferdinando Scianna and featuring model Marpessa and they noticed the presence of Chinese pots in the photos. 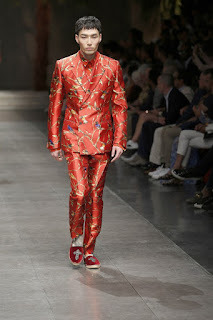 After seeing these pictures, they were inspired to return to Palermo and re-discover the beautiful and unique Chinese Palace. 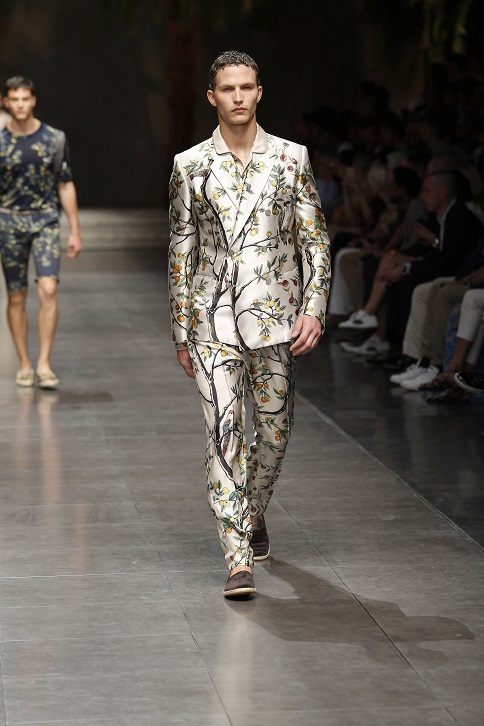 At the end of the 700 A.D., King Ferdinand of Bourbon, fond of hunting, and his wife Carolina came to Palermo, from Naples. At the time, the two nobles of Palermo purchased a large part of the land located on the hills; thus about 400 acres of the Parco della Favorita was born. 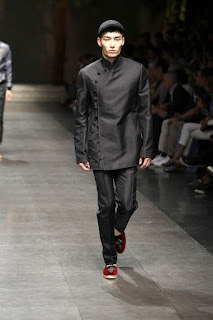 The property already had a very extravagant house with Chinese influence and style. 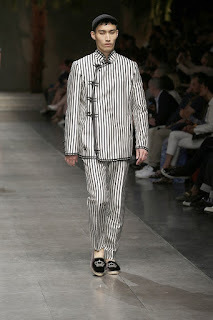 The king commissioned the most famous architect from Palermo, Giuseppe Venanzio Marvuglia (1729- 1814), to renovate the building without changing the style, which was distinctly Chinese. 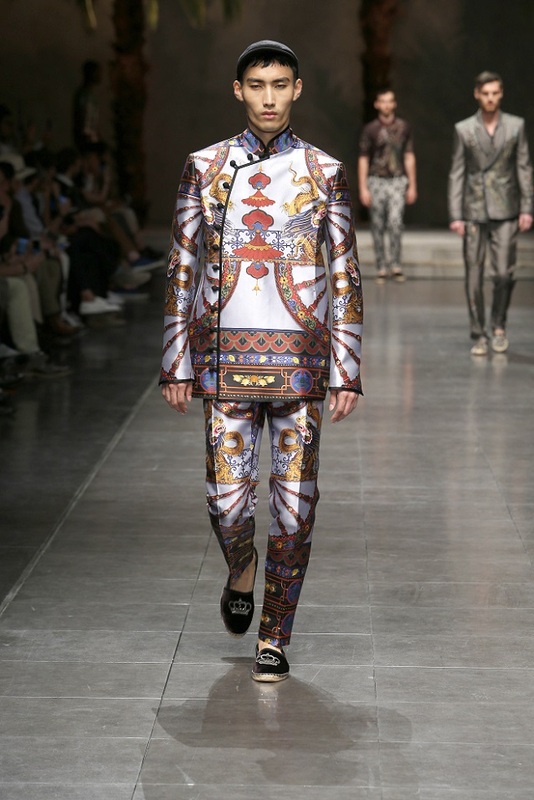 While researching this one-of-a-kind Palazzo in Palermo, the Designers understood that their typical style of combining elements coming from different cultures, actually has historical precedents like this one and that even in ancient times, artists looked at reality with eyes wide open to the whole world. 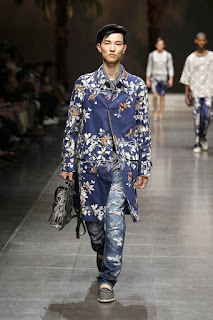 Next to the brand’s signature tailored suits in printed silk, there are the infamous ripped jeans that after many seasons come back in full swing on the runaway and in the finale all the 102 models wore polo shirts adorned with the crown, the new symbol of the brand. 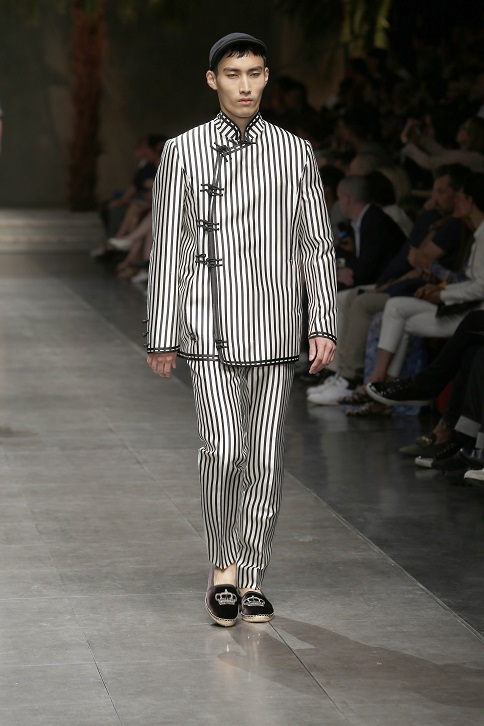 The music is the one used by the Carabbinieri (a branch of the Italian Police) during parades, while the set is a reinterpretation of the Favorita park, inside which the Chinese Palace is located.